Here is another round up of recent news straight from the Linkin Park Underground HQ. In this round-up we have news of a meet & greet lottery, a giveaway and an FAQ! If you have not had a chance to read up on the latest news, do it now! The LPU Meet & Greet Lottery for the Linkin Park show at Monster Mash in Tempe, Arizona on 11/1 is now open and will close 5 days before the show. Enter the LPU M&G Lottery here. Not a LPU Member? Get access at LPUnderground.com. 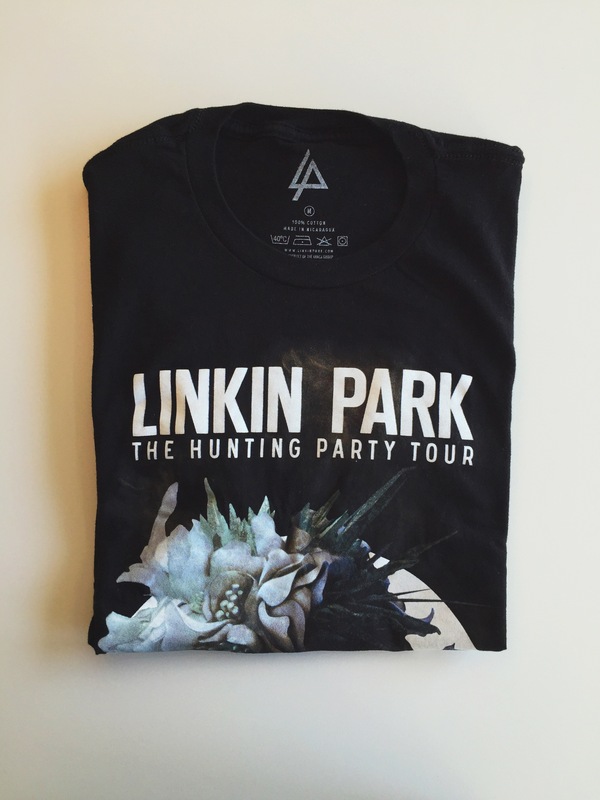 The October LPU Giveaway is The Hunting Party Tour T-shirt! Many questions have been asked in the LPU forums regarding meet & greets, LPU memberships etc. Lorenzo Errico has written a post in the forums answering these questions. You can read it here. This entry was posted in Blog, LP Underground, LPU News, News, Theme Relevant, Uncategorized and tag linkin park, lpu, meet & greet, meet and greet, news, the hunting party tour.